Murat AKIN and Atilla BİR , "The Hinf Model Matching Problem with One Degree of Freedom Static State Feedback", Turkish Journal of Electrical Engineering and Computer Sciences, Vol.11, 35-44, (2003). Murat AKIN, Leyla GÖREN , "The Hinf Discrete Model Matching Problem by Static State Feedback", WSEAS Transactions on Systems, 1, 87-93, (2002). 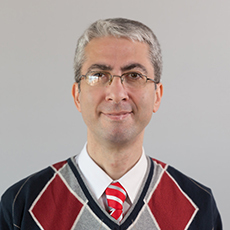 Orhan Can ÖZALP, Murat AKIN, "Optimization of Merge Based Sort Algorithms on Nearly Sorted Lists", Proceedings of the 14 th WSEAS International Conference on Mathematical and Computational Methods in Science and Engineering, MACMESE 12, Malta, 136-139, (2012). Murat AKIN ve Atilla BİR, "Ayrık Hinf Model Eşleme Probleminin Tek Serbestlik Dereceli Statik Durum Geribeslemesi ile Çözümü", Elektrik-Elektronik-Bilgisayar Mühendisliği Sempozyumu, 183-187, (2002).